The Auburn Touchdown Club will be hosting guest speaker Coach Pat Dye on Thursday, October 11. Coach Pat Dye is arguably one of the most recognizable figures in Auburn football history. With his 71% win rate, four SEC championships, and numerous accolades for excellence in coaching, Coach Pat Dye established himself as a force to be reckoned with in the world of college football. In recognition of the contributions he made to Auburn, one of the most famous being the reignited Auburn-Alabama rivalry, the field at Jordan-Hare stadium was named in his honor. Register here. There is no cost for members to register for meetings. Members are also entitled to bring a guest. The guest fee is $50 and can be paid at the door. Please register your guest separately and note in the comments that they are attending with you. 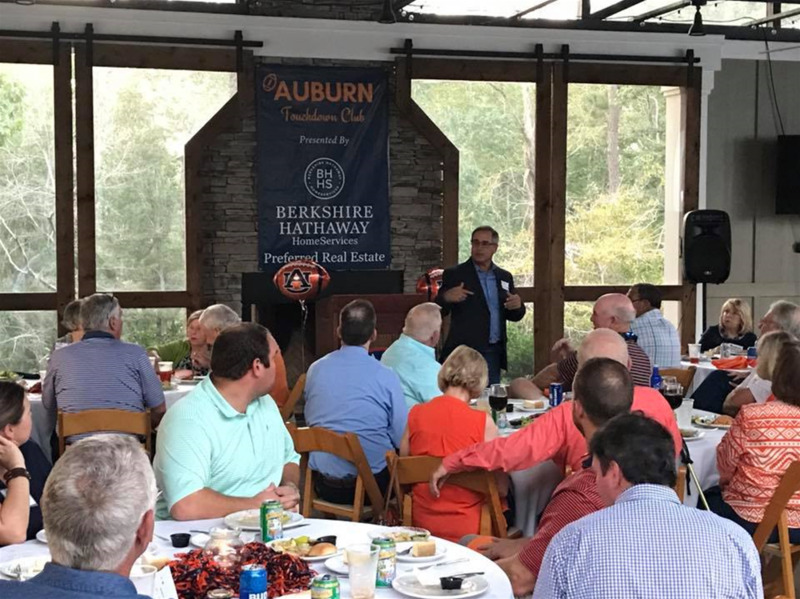 The Auburn Touchdown Club is a group of Auburn Football lovers dedicated to promoting the program as well as Auburn University. 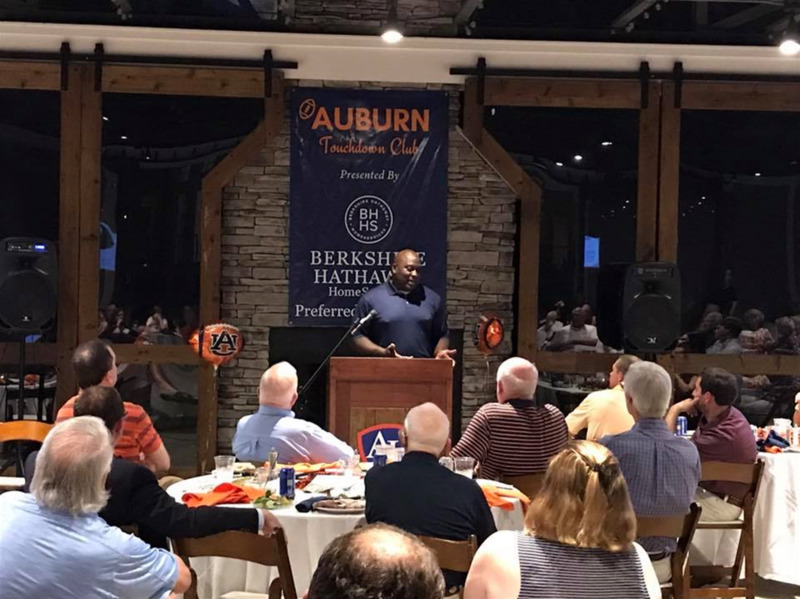 By joining the Auburn Touchdown Club you gain access to our meetings where you will hear great guest speakers share their insights into Auburn Football, and you will also be helping us provide scholarships to Auburn University students.